First and foremost, thank you for having an interest in writing for Pro Wrestling Stories! What we offer on our site is a deep knowledge of the business of professional wrestling. We offer backstage stories and historical insight into the happenings of what went on once cameras stopped rolling. What you’ll find is a group of writers coming together from different walks of life and different parts of the world to offer something truly unique and memorable that can’t be found anywhere else in this niche of entertainment. When you become a part of our team, you’ll be treated like family, your ideas will be respected, and your work will be read by hundreds of thousands of readers each month. If you feel you can offer something that would benefit our team, get in touch! We are looking for writers who can contribute one or two articles a week. There will be further new and exciting opportunities to come in the next few months! No, but it is recommended. 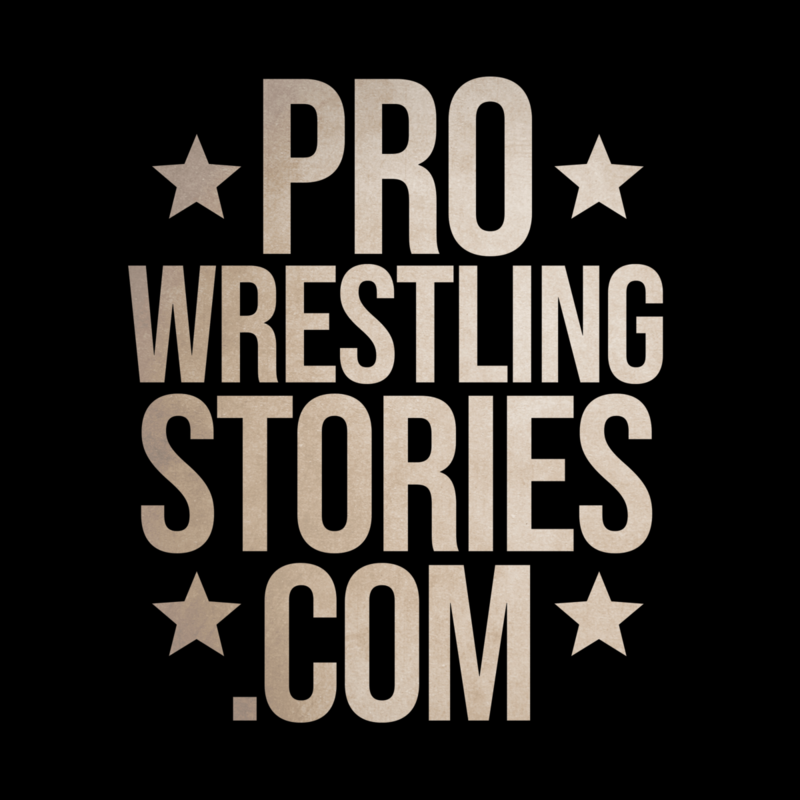 While you don’t need any impressive qualifications to join us here at Pro Wrestling Stories, we welcome those with a sincere passion for writing who has a vast background knowledge of the history of pro wrestling. A solid grasp of English grammar and punctuation rules helps, too! Understand that all work on the site will be edited. Publishing quality work is a team effort here. Your articles may go through multiple levels of editing. This is a normal part of the process before articles go live to the public, so being comfortable with receiving and giving feedback is paramount. Writers on the site have free reign over their own topics and content so long as it’s pro wrestling in nature. Writers make a pitch to our editor JP each week and an article idea is then chosen. Backstage stories like funny/horrible ribs, crazy nights out, or real-life altercations are the kinds of stories, for example, that tend to perform really well on the site. Lists are welcome, too, though we try not to post too many of these as they veer too much into the “opinion” side of things. Please note that we will only post stories that can be verified. This is done by including direct quotes from autobiographies, trusted publications, interviews with talent, etc. Our site’s reputation hangs on the line when we put something out there as true, therefore we like to back up all of our pieces with as many reputable sources as possible. Quite frankly, editorials such as opinion pieces, reviews, PPV/weekly show recaps, rumor pieces, or the best match of the week/month/year types of articles are not fitting for a site like ours. We have dabbled in trying these sorts of pieces in the past but found that they did not perform well compared to our story pieces and it wasn’t worth the time or effort that goes into writing these sorts of articles. Besides, readers can find pieces like this on countless other wrestling-related websites online. We deliver unique, entertaining factual information and interviews from a neutral or third-person point-of-view. Unless an opinion piece allows unique insight or access to the wrestling business, please do not send opinion or editorial pitches as these will be turned down. A good way to see what hits and what misses is to browse the articles we have already on our site. AND WHAT ABOUT ARTICLES ON THE LATEST NEWS? We haven’t dabbled a whole lot with providing articles on the latest news in the past given our focus here is mainly on the history of professional wrestling. That said, we welcome the opportunity to take on writers who can contribute articles that cover the current news in the business as it will allow a new audience to discover our site. We just don’t want to become another wrestling news site copying and pasting from the Dave Meltzer’s, Mike Johnson’s or Ryan Satin’s of the world and only changing a few words. If you feel you can offer the latest news here at PWS in a unique way that sets us apart from the hundreds of other wrestling news sites out there, get in touch. HOW LONG DOES MY WORK NEED TO BE? While we don’t have a word count expectation, anywhere between 600 and 3000 words are the most suitable for online readership. WHICH FILE TYPE SHOULD IT BE IN? When you submit your work to us, it can either go into the body of the e-mail or inside of a word document. We’ll handle all the formatting ourselves on the site. We also offer opportunities for senior writers to have a login where they draft and edit their pieces directly onto the site. DO I NEED TO SEND IMAGES? You definitely don’t need to, but it is recommended and as it helps tell the story you’re trying to share. LET’S SKIP THE PLEASANTRIES, WHAT ABOUT PAY? All of our staff writers start off unpaid. This is part of a feeling out process to see how well new writers and their articles perform. If your work has proven to bring in great readership, a flat fee is paid to you per article. Senior writers have an opportunity to earn extra money per article by having their own login and drafting articles directly onto the site with photos. Additionally, a bonus payment is given to the writer who’s article brought in the most reads each month! OKAY, I’M IN! HOW DO I SIGN UP? – The type of articles you would like to write. We just ask that you send us your ideas and receive the go-ahead from us before writing your piece. After it’s been submitted to us by e-mail, we will give any feedback on the piece and recommend any changes that need to take place before it goes live. We’ll handle the rest from our end. We of course reserve the right not to publish a piece if we don’t think it will perform well on the site. That said, we do try our best to be nice about these sorts of things and do our utmost to edit each of the articles so that they are the best that they can be for public consumption. Most of the writers on our site have day jobs and a few of us have small kids at home, so we cannot promise your piece will go up straight away, but we will do our best to have it up within a few days of receiving it! Please note: If you have work that is already hosted on other websites, blogs, social media platforms etc, we cannot republish this content. We also kindly ask that any work published on our site is not reproduced on another website. We reserve the rights to all pieces submitted to and used on our site. Find out more about who we are and what we do on our about us page. We look forward to hearing from you!